The ThermoVault140 is an extreme high temperature data logging system, for use with a HiTemp140 data logger and stainless steel thermal barrier enclosure. This durable system can withstand temperatures up to 250°C when completely submerged and 350°C in dry heat applications (O-ring removed). The ThermoVault140 is built for use in harsh applications that require extreme temperature monitoring, such as with furnace profiling, geothermal down-hole recording, and oven data logging. 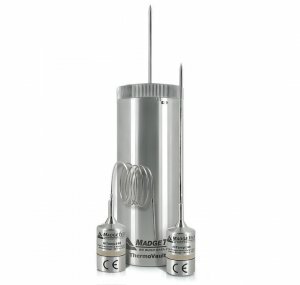 The ThermoVault140 is available in multiple probe sizes. 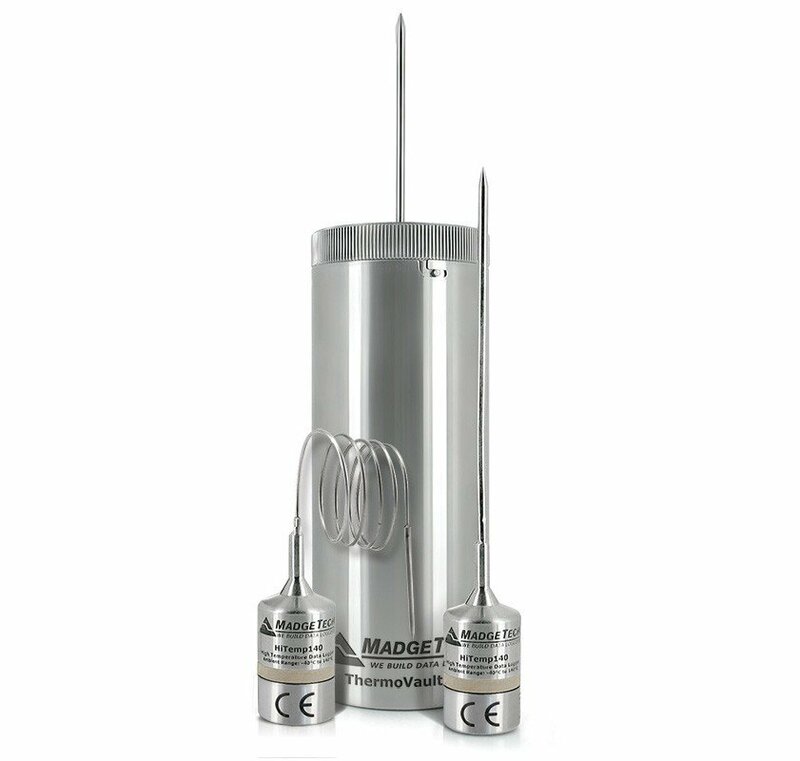 The 5.25” probe is ideal for ambient temperature monitoring, while the 24” flexible probe can be easily adjusted to measure hard-to-reach locations, or even the internal temperature of a product.